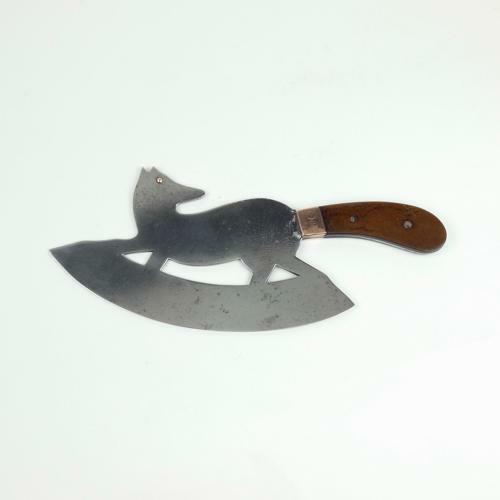 A nineteenth century steel ice or sugar cleaver in the shape of a fox. This piece is shaped, as a running fox, which is looking back over its' shoulder, and the handle forms the tail. The eye is formed with a raised copper rivet and the handle is fibre block, with copper fittings. The cleaver dates from c.1900. There is very slight pitting to the steel, from use, and at some point the handle has become detached from the steel. This has been welded back. Other than that the piece is in good condition.